Welcome to the latest post for the Choose Your Own Black and White Printables series. If you’re just joining us here’s how this work. 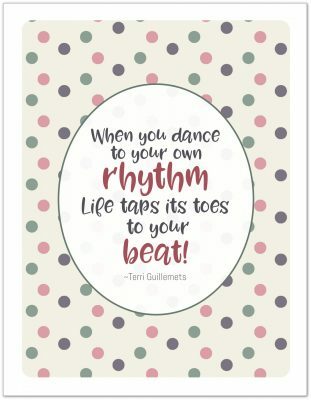 Each week (or so) I’m sharing black and versions of existing printables. The series will run until the requests stop coming in or I run out of printables to convert. If there is a printable (or many printables) that you’d love to have a black and white version of, just click the link above to fill out the form and submit your request. 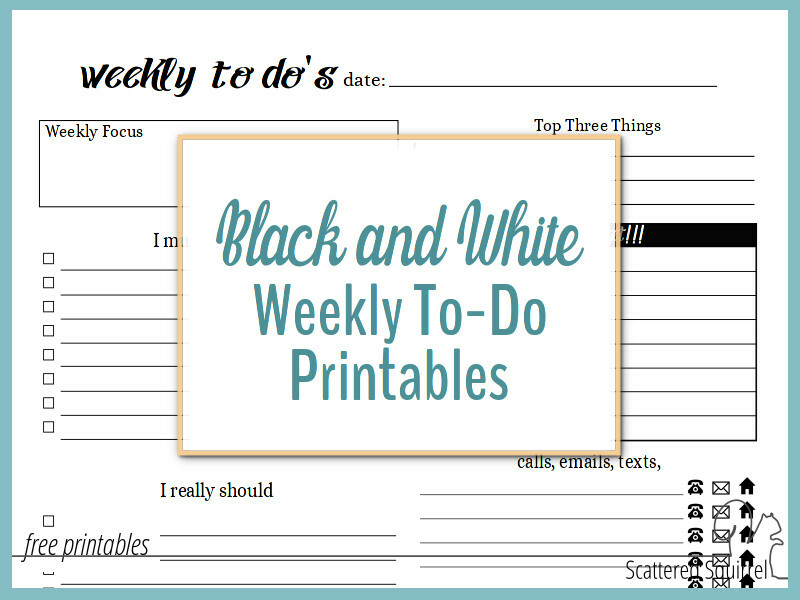 This week I’m sharing the black and white weekly to-do printables. To-do lists are handy tools for keep track of the things we need or want to do. 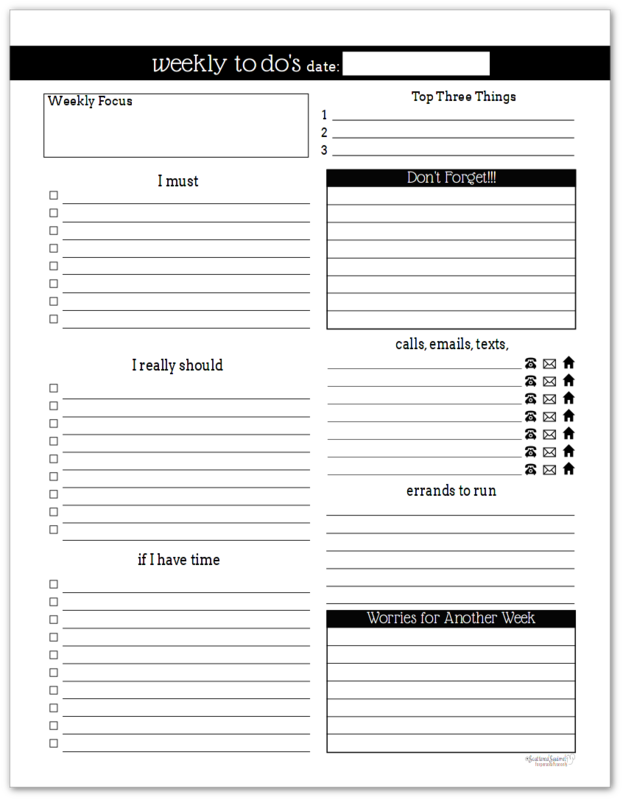 These weekly to-do list printables will help you organize the tasks on your list so you can focus on your top priorities first. 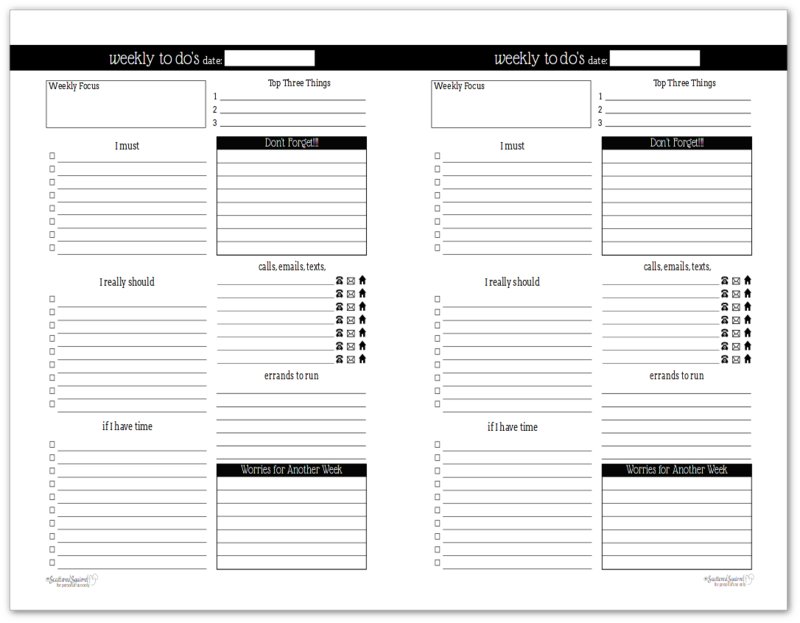 They work well on their own, but they also make a great companion to a daily or weekly planner. 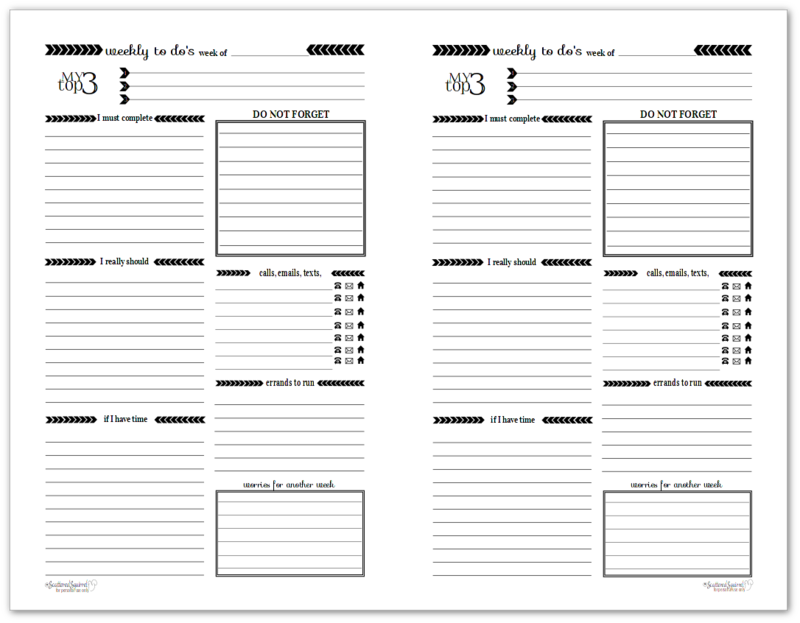 These ones are the black and white versions of the original weekly to-do list printables. They’re missing the Weekly Focus section that the newer ones have, but other than that they are exactly the same. One of my favourite features of this planner page is the Worries for Another Week section. Having that space to consciously decide to postpone something until later helps me keep from overloading my schedule. 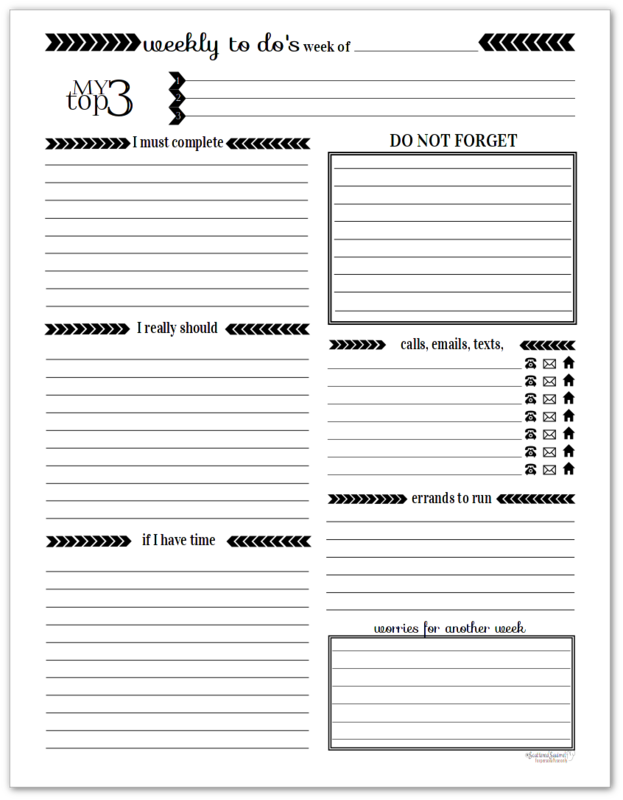 Click here to find the colour version of these to-do list printables. 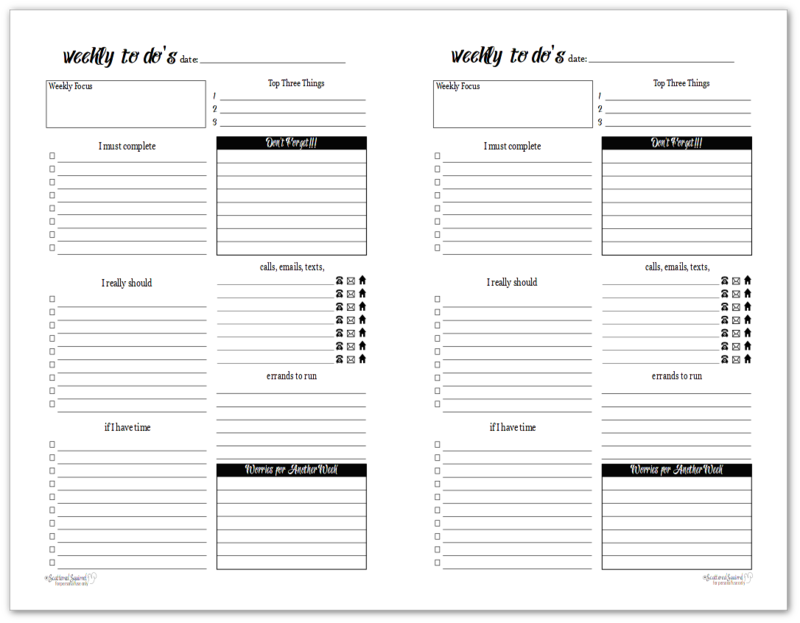 These black and white weekly to-do list printables started off as the Understated Rainbow version. These were the ones that I tweaked to include the weekly focus section. I use this section two different ways. I pick the most important project or tasks that I have to do that week and put it in this space. That way I always see them first when I look at the sheet. I pick an area that I feel needs my attention most that week. It might be home projects, work stuff, homeschool, or something else. I find this seems to help me plan my week with a little more intention. Click here to find the colour version of these weekly to-do lists. The last set is the black and white weekly to-do list planners if from the Sunshine Skies collection and were just shared last October. Another one of my favourite sections is the Do Not Forget section. I like having a place dedicated for reminders. It never fails that as the week goes on, things crop up that need remembering. 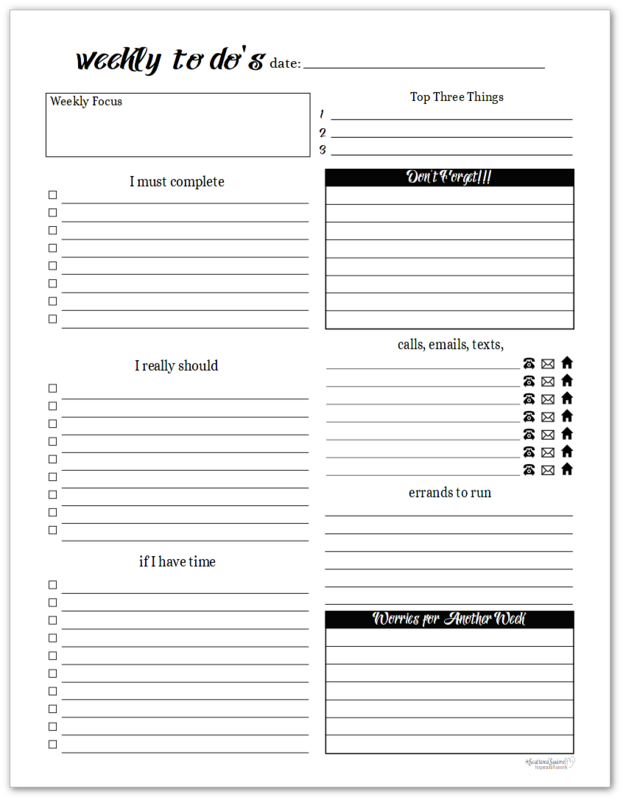 Click here to find the colour version of these weekly to do list printables. To-do lists are a great way to extend your planner when you need to. They help make forward planning for future weeks a little easier, offer a place to jot down future tasks so you don’t have to worry about them during the current week. Do you like to-do lists? Do you find them helpful or do you prefer something else? Drop me a line in the comments below and let me know what you think.